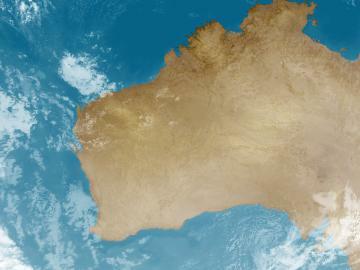 Cloud over northeastern NSW with a weak trough is generating isolated showers. Cloud moving over the south with a cold front is bringing showers and a dusting of snow over the highest peaks. Mostly clear over the northwest under a high pressure ridge. 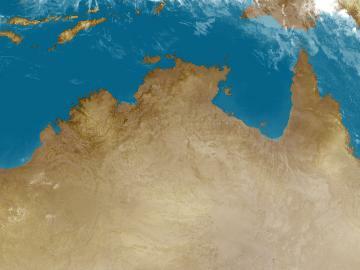 Cloud over Arnhem Land with a weak trough is causing a few showers, mainly coastal. Bright, high jetstream cloud crossing the territory is not bringing any rain. Skies are mostly clear to the south due to dry winds blowing around a strong ridge of high pressure. 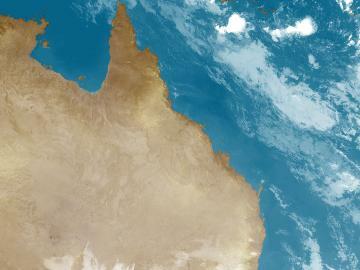 Cloud over central and eastern QLD with a trough is generating showers and a few storms, heaviest towards the southeast. Patchy cloud in the west and south in a weaker part of the trough is only causing isolated showers. 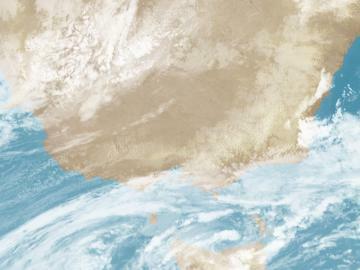 Jetstream cloud in the north is not producing rain. 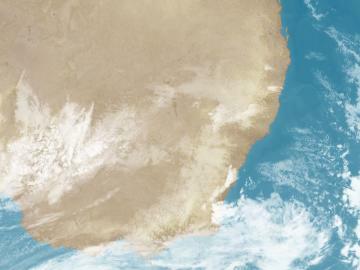 Low cloud over southern SA with onshore winds behind a cold front is bringing a few showers, mainly to the southeast. Patchy high cloud over the north near a trough is not producing any rain. Clear skies elsewhere under a broad high pressure system. 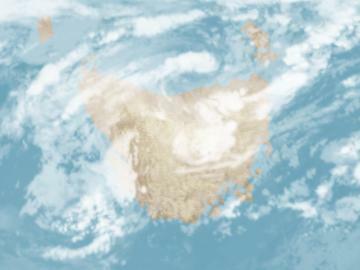 Speckled cloud in a cold airmass over most of TAS in the wake of a front is causing widespread showers, heaviest in the west and south, with snowfalls over the higher peaks. Showers are very isolated over the northeast as the airmass dries over the Central Plateau. Speckled cloud over southern, central and eastern VIC in the wake of a cold front is bringing scattered showers, falling as snow over the highest peaks. Showers over the northwest are much more isolated as the airmass dries over land. 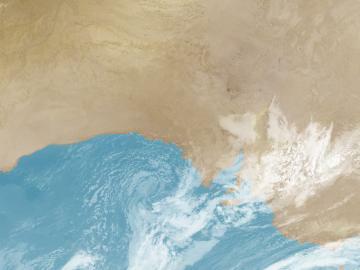 Low cloud about the southern WA coast is thinning out as onshore winds ease. Bright, high jetstream cloud crossing the north is not bringing any rain. Mostly clear elsewhere with help from dry winds around a broad high pressure system.